While Joseph Goebbels infamously declared Berlin “free of Jews” in 1943, 1,700 managed to survive in the Nazi capital through the end of WWII. The Invisibles traces the stories of four young people who learned to hide in plain sight. 1943. Four Jewish youths have to hide their identities in Berlin in order to survive the Third Reich. A true story- as the film continues to remind the audience. Films from Germany on the injustice of the Nazis have shed new insight. Audiences learnt that many Germans living today are unaware of the holocaust and the horror the Nazis have committed on the Jew in the concentration camps. (Sorry, I can’t remember the title of this German movie, but the film traces the exploits of a German proving that the Holocaust exists.) Audiences also learnt that Germans also committed horrors on their own German people as in the recent Academy Award German nominee for Best Foreign Film – Florian Henckel von Donnersmarck‘s NEVER LOOK AWAY. While Jospeh Goebbels infamously declared Berlin “free of Jews” in 1943, some 1,700 (out of 6000, as the audience is later informed at the end credits) survived in Nazism’s capital until liberation. Director Räfle’s gripping docudrama traces the stories of four real-life survivors who learned that sometimes the best place to hide is in plain sight. While moving between cinemas, cafés and safe houses they dodged Gestapo and a dense network of spies and informants, knowing that certain death was just one mistake away. Yet their prudence was at odds with their youthful inclination towards recklessness, sometimes prompting them to join the resistance, forge passports, or pose as Aryan war widows. The four youths are Hanni (Alice Dwyr), Cioama (Max Mauff) , Eugen (Aaron Altaras) and Ruth (Ruby O. Fee). These are four German Jews coming from different social classes as well as different neighbourhoods. The film takes its time on each, showing their relationship and difficult separation from their parents and loved ones. The problem with this, is that the trials each undergo are identical and it makes the narrative repetitive. For each character, a few solid suspense set-ups are worthy of mention. One involves a Jewish informer, Stella (Laila Maria Witt) who recognizes Ellen Lewinsky (Victoria Schulz) while she and a friend go to the cinema dressed as war widows. Stella informs so that she gets special privileges from the Gestapo that her parents do not get deported. But they do, regardless. 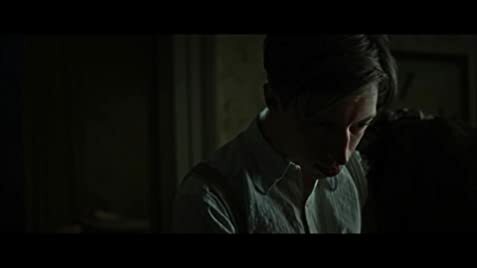 Another suspenseful scene has Jews hiding in a room when a German appears going from room to to room in that house looking for lodging for Germans displaced from bombings. One plus of the film is the interspersing of the enactments with interviews of the four main characters now much older, which are the survivors in real live. This tactic adds to the film’s authenticity. The film is also interspersed with archive 1940’s film footage. 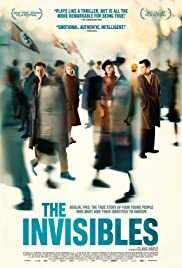 Despite the film’s flaws, THE INVISIBLES is a worthy and insightful account of not only the triumph of the human spirit in surviving but also the inherent good in the few Germans who risk everything in helping the Jews. Just as the proverb goes ‘Necessity is the mother of invention’, desperation forces the desperate to survive against all odds.